This has been one of those crazy, insane weeks where I barely have time to brush my teeth let alone post a cookie. Given the circumstances, I reached out to my friend Mary at Chew The Fat (creator of awesome breakfast cereal personality tests) and asked if she’d like to share a recipe here on Cookie Madness. She agreed. So instead of a recipe from me, I’m sharing a recipe from Mary which rest assured, I will try because it sounds so perfect for serving with soup or flavored butter. Rye bread, I should have known that you and I would meet again. For years, years, I used the fact that my mother made peanut butter sandwiches on RYE BREAD as an example of how she had ‘no clue’ about food. But while it is true that my mother made London broil in the microwave and her idea of chicken soup was boiled chicken, a carrot, and a head of celery (no spices) she probably was ahead of her time when it came to her disdain for sugary white bread. The only kind of bread she would allow in the house was rye. Almost as much as the Hostess snack cakes my friends lunched upon, I longed for a peanut butter and jelly sandwich made on soft, gummy Wonder Bread. I wanted to make balls with my sandwiches like the other girls did more than I wanted to eat. 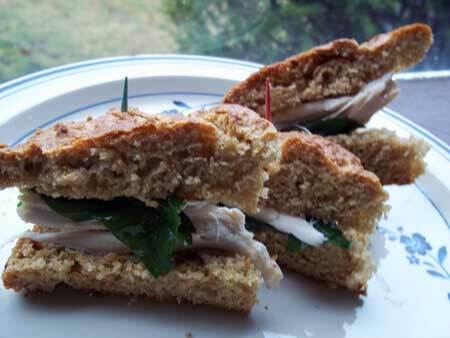 For many years, after I started making my own lunches, I refused to eat rye bread. But I’ve since discovered that rye is a rather healthy grain. And I’ve grown to like the taste. Since Super Bowl parties are coming up (a sore spot for many areas of the country, but I live in New Jersey and root for the Giants, so I’m milking this one for all it’s worth), this is also a great, easy bread to cut into wedges to place on a serving tray of nuts, cheeses and dips. You can also slice it across the middle, like a cake layer and use it to serve sandwiches. The bread has a slightly sweet, honey-like taste, so it is very kid-friendly. In tribute to my mom, I also had to try it with peanut butter, and I have to say that she was right all along—peanut butter and rye really is quite wonderful. 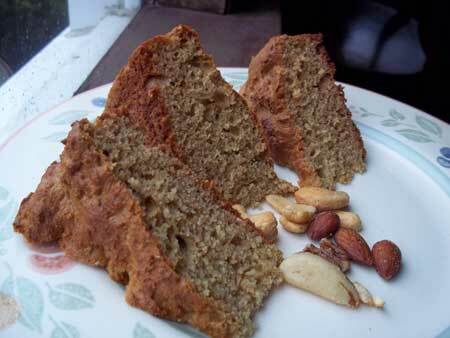 Rye Quick Bread is made without yeast, yet still very light thanks to the full fat yogurt. Preheat the oven to 350F. Grease an 8 inch cake pan with butter. Sift the flours, baking powder and soda, and salt together. Blend the butter, eggs, honey and yogurt in another bowl. Slowly spoon in the dry mixture. Mix until just incorporated. Great recipe! Loved it with some butter and a drizzle of honey. Kid pleaser! I made this and wrote about it on my blog here. It was awesome and I will be making it again. Thank you so much for posting the recipe. ps I used fat free sour cream instead of yogurt. Thanks, Mary. I’m anxious to try this, but I can’t find full fat yogurt in either *my* Wegmans, which is a pretty big store, or at WalMart. I tried the health food store and they had full fat, but it was a quart size and super expensive. Is there anything that can substitute for the full fat yogurt? Pumps, sneakers… what’s going on here? :). And the bread looks fantasti Mary :). @CL–what the kid sitting next to you is having ALWAYS looks better (well, unless it’s the one kid eating cold pizza, soda, and snack cakes from home with the ‘bad parent’). It’s funny you mention about the honey–I was wondering how to make it a more standard ‘deli rye’ flavor, but I’d be concerned about making it too dry without the full amount of honey. If you do reduce the honey, you might want to substitute buttermilk for some or all of the yogurt. Using slightly less all-purpose flour, more rye flour and adding toasted caraway seeds would all be ways to amp up the rye flour–if you do, let me know, and I’ll give your version a try! Mary, can we trade? LOL 🙂 I grew up eating sandwiches on Roman Meal bread (a whole wheat bread ahead of its time). Only now have I begun to appreciate Roman Meal’s flavor and health advantages. Rye bread was and still is my absolute favorite bread, especially toasted with peanut butter. 🙂 May I reduce the honey a teensy bit, just because I like the slightly bitter bite of rye’s flavor? This looks very tasty. Ever since I was a small child, I’m been a fan of grilled cheese on deli style rye. My mom used to pack me a buttered rye bread sandwich with a couple of slices of cheese. never saw a recipe for a quick rye bread – will certainly be trying this – thanks. The all-purpose and the honey tend to counteract any bitterness, although the rye flour didn’t have that very, very coarse texture that some ‘rustic’ rye breads often have–I also didn’t use any toasted caraway seeds, which probably would have made the rye more bitter (although some people love them). I’m a big fan of rye bread! 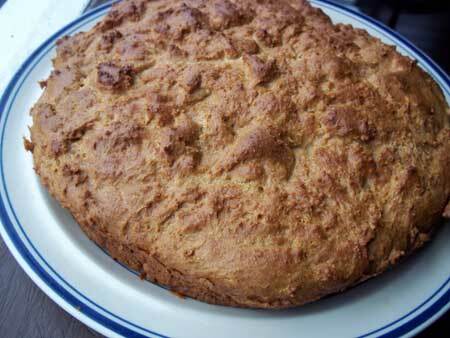 Your quick rye bread sounds great – speed plus flavor. Mary and Anna, what brand(s) of rye flour do you use and like? The few times I’ve baked with rye flour, the results tasted bitter. : ( Not sure what I did wrong, but it’s discouraged me from trying again.